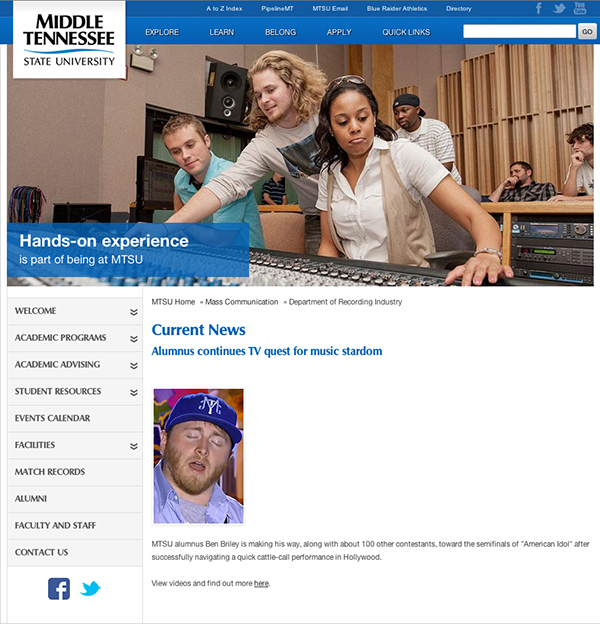 MTSU'S DEPARTMENT OF RECORDING INDUSTRY HAS A NEW WEBSITE! Click here to navigate to our new website, and don't forget to bookmark it for future visits! ©2010 Middle Tennessee State University, a Tennessee Board of Regents Institution. veterans or individuals with disabilities. music business schools, and commercial songwriting schools, and notice the difference!